In the past few years there has been an “explosion” in kimono related books, to the point where I can ask for a new kimono book every year at Hannukah. However, beggars still can’t be choosers and the usefulness of these books has varied greatly. 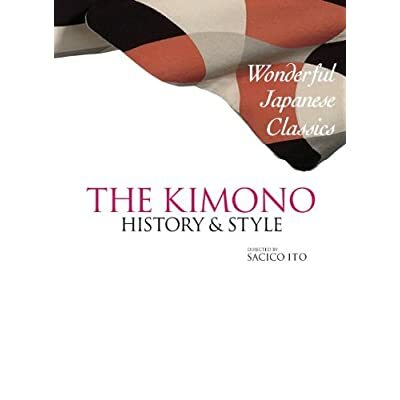 The Kimono: History and Style is the latest offering from PIE International, which has brought us such books as Kimono and the Colors of Japan; Summer Kimono and the Colors of Japan; and Child Kimono and the Colors of Japan. If you have any of those titles, you will probably know whether or not you want to purchase this one. Like the other books, The Kimono: History and Style contains both English and Japanese sentences overlaid over pictures. The text is minimal and, apart from the introduction, adds very little anyone with basic knowledge of kimono wouldn’t already know. That said, the example pictures are lovely, despite being only one or two pages per topic. As a softcover this isn’t really a coffee table book, but that is where I would see it in my life: something to leave out for people with a passing interest in my hobby, or to spark conversation. This book would probably be a good addition to a primary school library, it’s not for someone trying to do serious research. Last edited by tzippurah on Tue Dec 04, 2012 9:20 pm, edited 1 time in total. Thanks for letting us know! That helps me prioritize what's on my list.